A biography of an anti-Franco guerrilla who became the leading historian of the Spanish Resistance, Antonio Téllez Solà. Born January 18 1921 - Tarragona, Spain, died March 27 2005 - Perpignan, France. Antonio Téllez Solà, who has died at his home in Perpignan aged 84, was one of the last survivors of the anarchist resistance which fought to overthrow the Franco dictatorship. He was also one of the first historians of the post civil war urban and rural guerrilla resistance to the fascist regime. In his actions and his writings, Tellez personified refusal to surrender to tyranny. The son of a railway worker, he was born in Tarragona and was radicalised by the October 1934 insurrection in Asturias, which failed when the unions outside the mining region failed to give their support. On 19 July 1936, when the workers, this time united, held at bay the rebellion of most of the Spanish officer class against the infant left-wing Republic, Téllez was in Lérida where he joined the anarchist youth organisation, the Juventudes Libertarias, immersing himself in the struggle to fight fascism and preserve the social revolution with which the union rank and file had answered the generals' attempted coup. Téllez joined the army aged 18, in the final stages of the Republic's collapse, and saw action on various fronts until February 1939 when, with thousands of other anti-Francoist refugees, he was forced into exile in France. There he spent a year in the Septfonds concentration camp and then a further six months in the camp at Argeles sur Mer, two of many locations in which the French government interned the people who had held fascism at bay for almost three years. Escaping at the end of 1940, he joined a band of Spanish guerrillas operating in the Aveyron department, serving as part of the IX Brigade (French Forces of the Interior), resisting the occupation until Liberation in 1944. In October 1944 Téllez took part in the ill-advised 10-day invasion of Francoist Spain by approximately 6,000 Spanish republican guerrillas of the CP-led Unión Nacional Española (UNE) via the Arán and Ronçal valleys in the Pyrenees, one of the first operations mounted by the maquis against the Franco regime. With the defeat of the UNE at the battle of Salardú, he moved to Toulouse where he set up clandestine arms dumps for the guerrilla campaign. For two years Téllez served on the second peninsular committee of the Iberian Federation of Libertarian Youth (FIJL), carrying out clandestine liaison missions between the anarchist movement in France and Spain. Resigning from organisational activity in April 1946, he travelled undercover in Spain for three months establishing contacts with the guerrillas and what remained of the illegal anarchist movement. Téllez was unable to generate financial or organisational support for the Resistance due to the hostility of the Toulouse-based National Committee of the exiled anarcho-syndicalist union, the National Confederation of Labour (CNT) to armed struggle. Frustrated by oligarchic tensions and self-serving politicking, he moved to Paris where he worked as a reporter for Agence France Presse from 1960 until retirement in 1986, when he moved to Ceret in the Pyrenees and then to Perpignan. In Paris Téllez continued to contribute to the anarchist press, but from 1954 onwards it was clear that his life's work was to write the histories of the legendary names of the anarcho-syndicalist action groups: Francisco Sabaté Llopart, José Luis Facerias, Wenceslao Gimenez Orive, Francisco Denis, Raul Carballeira, Marcelino Massana Bancells - and many more, from the mountains and sierras of Catalonia, Aragón, Asturias and Galicia in the north to the Levante and Extremadura in the west and east, to Andalucia in the south. I met Téllez for the first time in Paris in 1973. While I was on remand in Brixton prison he had sent me a copy of his newly-published biography of Francisco Sabaté, which I translated from Spanish into English. After my acquittal I visited him to discuss the book, which he was constantly updating and revising, as he did with all his work. We became firm friends. His archives were enormous and his apartment overlooking the Pêre Lachaise cemetery was stacked from floor to ceiling with boxes of files, documents and photograph albums. His accomplishments in a particularly difficult area of study were quite remarkable given that his subject matter was clandestine groups and secretive and highly individualistic militants who were activists rather than theorists, many of whom were outcasts from their own organisations. I witnessed a good example of this in Paris, when I introduced Téllez to Octavio Alberola, the coordinator of Defensa Interior, the clandestine anarchist group responsible for organising assassination attempts on Franco between 1962 and 1966. The two men had never met and Alberola was taken aback when from on top of his wardrobe, Téllez produced the original plans for the proposed 1963 assassination attempt on Franco at the Puente de los Franceses near the Oriente Palace in Madrid. We never did discover where he acquired them. Tellez's published and unpublished output was phenomenal, covering the period from Franco's victory on 1 April 1939 to his death on 20 November 1975, and beyond. He had two main objectives: to record the lives of selfless men who would not compromise their ideals nor treat with a system they found villainous and vile, men who devoted their adult lives to freeing Spain from the last of the Axis dictators. His work has been a major contribution to the movement for the recovery of historical memory which is now playing such an important part in contemporary Spanish politics. Téllez's other objective was to demonstrate that the individual is never helpless; there is always the possibility of rebelling and defending an idea one considers just, even in the most unfavourable and adverse conditions. Téllez is survived by his partner, Harmonía, and a son. Antonio Téllez Solà, anarchist, guerrilla, historian, born January 18 1921; died March 27 2005. 1) Sabaté: the urban guerrilla in Spain (1945-1960). 2) Facerías: urban guerrilla (1939-1957). The anti-francoist struggle of the Spanish libertarian movement in Spain and exile. 4) The Unsung Struggle : The Plot to Assassinate Franco from the Air, 1948. 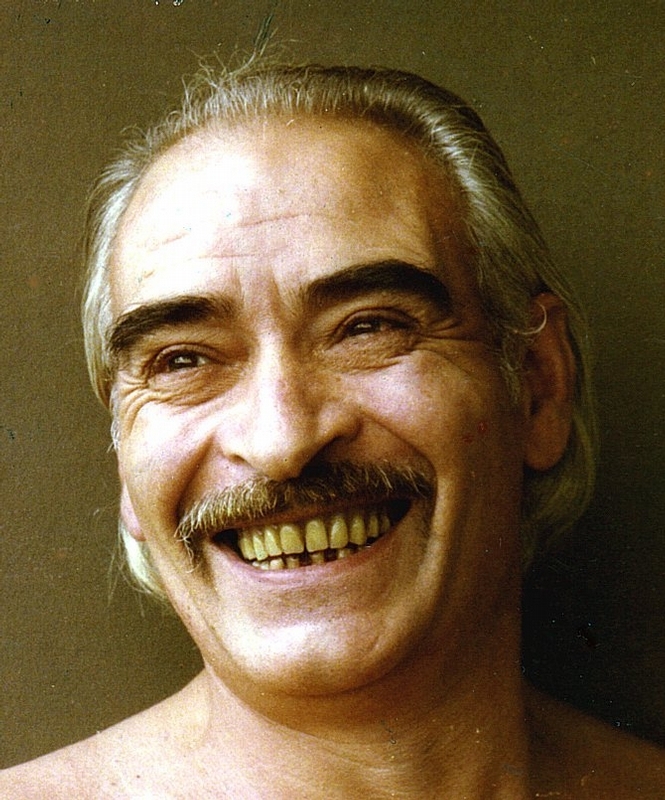 5) The Anarchist Pimpernel : Francisco Ponzán Vidal (1936-1944). The anarchists in the Spanish Civil War and the escape and evasion networks in World War II. He was one of the founders of the publication Atalaya (1957-1958), and contributed regularly to Ruta, Solidaridad Obrera (Paris), CNT, Bicicleta, Cultura Libertaria, Polémica and Historia Libertaria, to which he brought fresh evidence on the little-known anarchist maquis in Asturias. And many monographs on individuals, publications from 1944 to the Iberian Liberation Council, Defensa Interior, the First of May Group, the MIL, GARI and the collapse of the Suarez trial in Paris in 1979. When he died, he was working on a number of projects including a history of the FIJL from 1935, an incomplete manuscript on Action Direct, the French anarchist action group, another incomplete manuscript on his personal relationships with the guerrilla, and an index of the names and personal histories of the urban and rural guerrillas. Harmonia, his partner, has indicated these will probably be loaned to the International Institute of Social History in Amsterdam as part of a proposed Antonio Téllez Foundation.